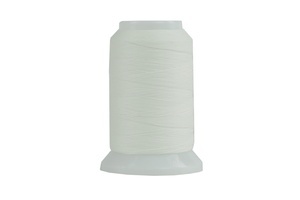 NiteLite ExtraGlow 40 wt./3-ply Glow-in-the-dark Polyester thread. Designed for Embroidery, Quilting and Decorative Stitching. 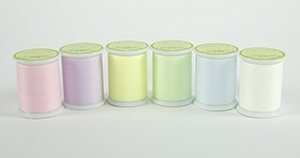 nitelitesuperiorthread NiteLite ExtraGlow is a fun, creative thread for quilting, embroidery, and decorative stitching. It is popular for children's pillowcases, blankets, quilts, and pajamas. Available in 6 colors. Expose it to light for 30-60 seconds and it will glow for hours. NiteLite can be recharged over and over again without loss of glowing effect. A dense stitch pattern will provide a better glow than a single stitch. Be creative in your next project and add some glow-in-the-dark NiteLite for a glowing effect. Available in 6 colors. Charge in natural or artificial light for 30-60 seconds. Glow time is up to six hours, night after night. Washer and dryer safe. Do not bleach or iron.